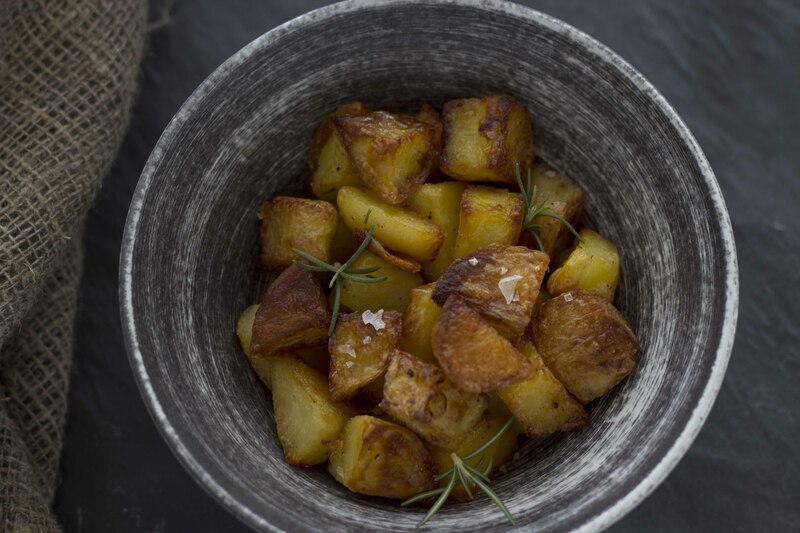 This recipe makes the best roast potatoes ever. 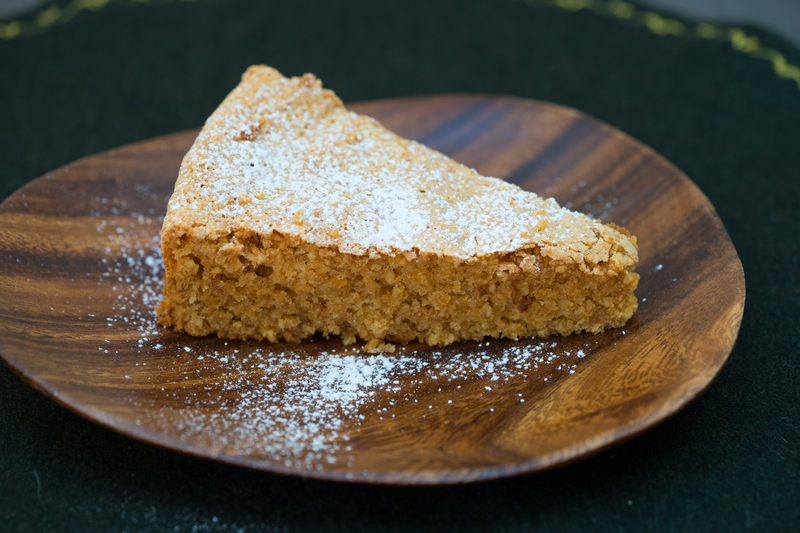 The recipe can be made in stages, which is particularly helpful several courses will be prepared. 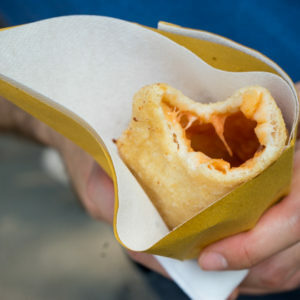 Children and adults love roast potatoes. 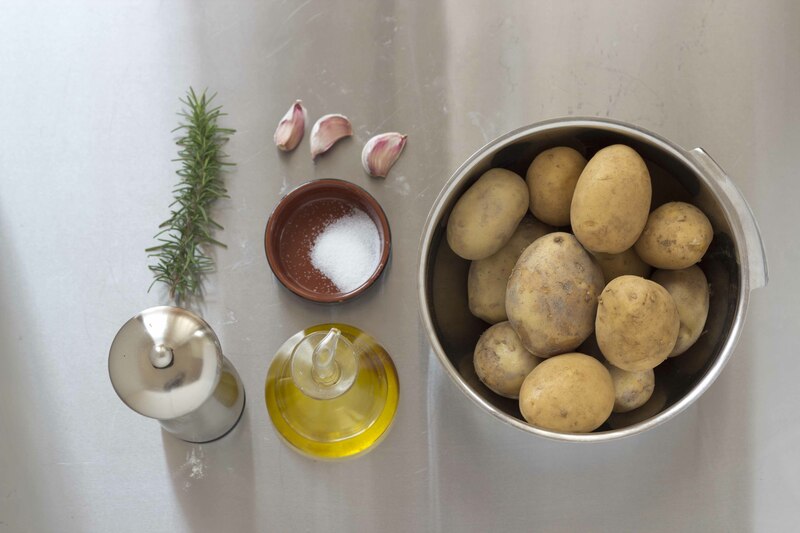 Tip: allowing the potatoes to cool completely after roasting and then roasting again just before serving will make them nice and crunchy. 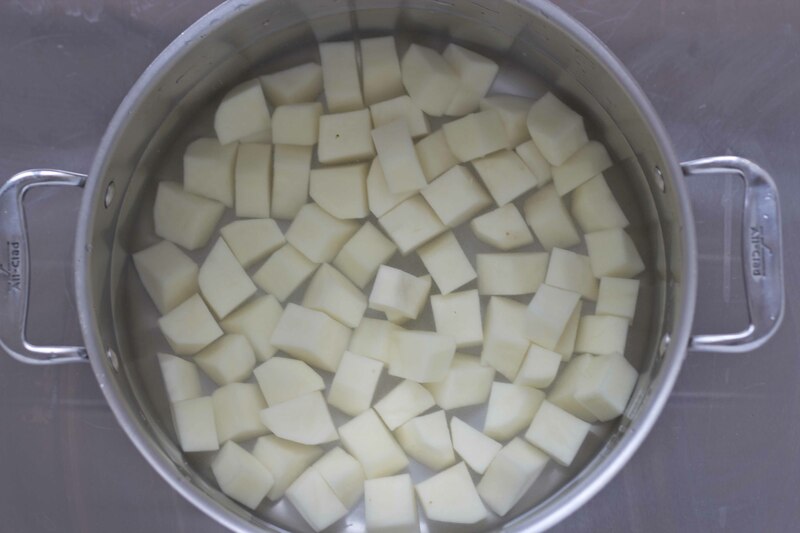 Place the potatoes in a large pot and cover with cold water to 2 cm of water above the potatoes. 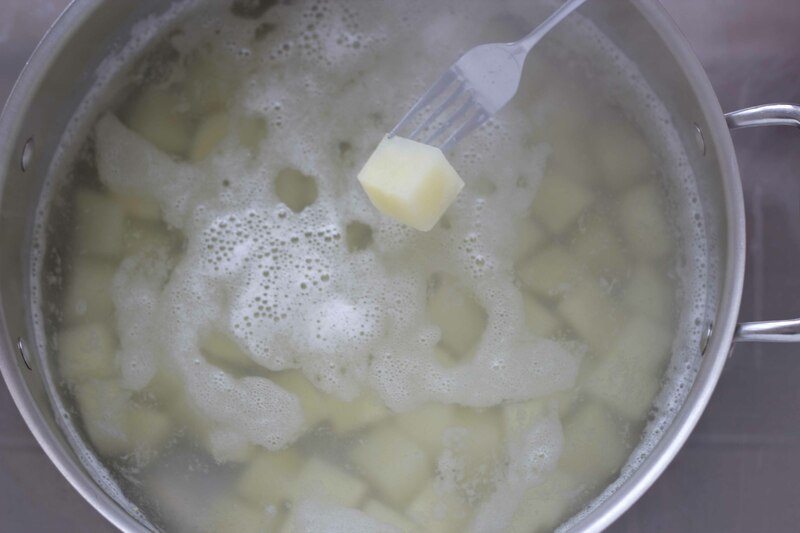 Add 1 tablespoon of salt and heat the pot over medium heat until the water boils. 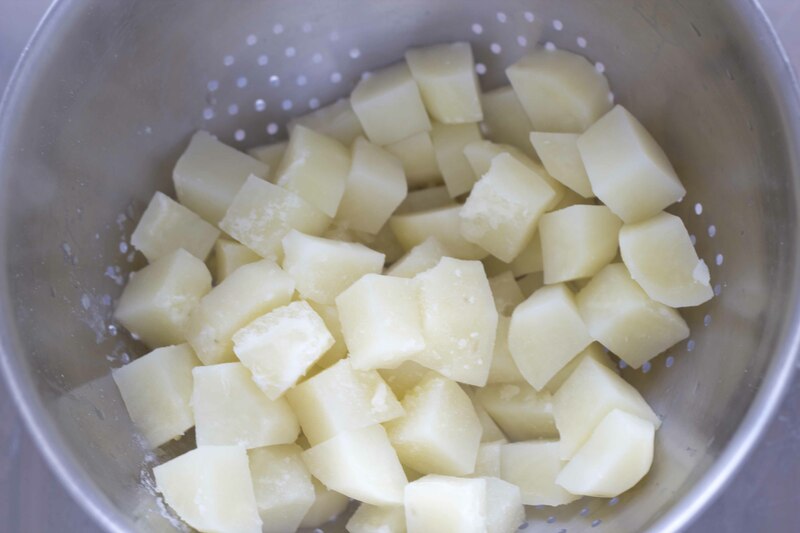 Cook the potatoes until they can be pricked with a fork but the potatoes are still firm, 10 to 15 minutes. Strain the potatoes and allow to cool completely. This part can be done in advance. 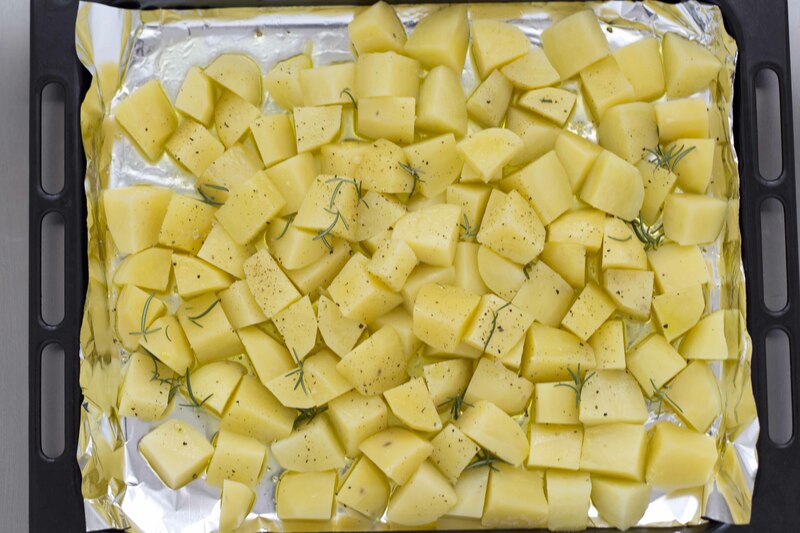 Heat the oven to 225 C.
Place the cooled potatoes on a baking sheet with the garlic and rosemary. 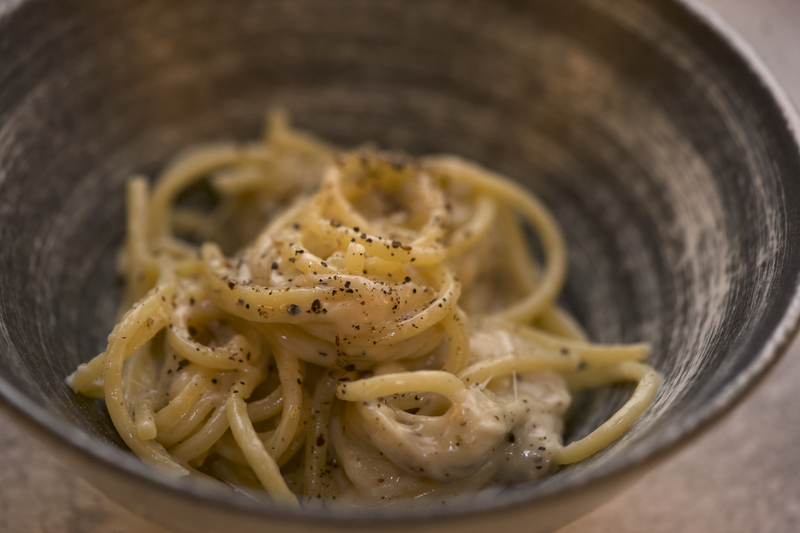 Drizzle the potatoes with the olive oil and sprinkle ¼ teaspoon salt and ⅛ teaspoon black pepper over them. Gently combine until the potatoes are evenly coated. Place the potatoes in the oven and roast. 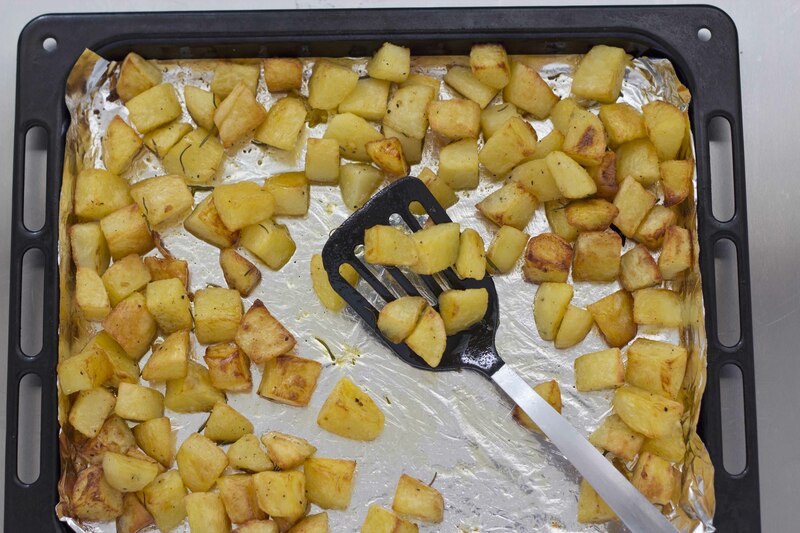 Every 15 minutes use a spatula to slide under the potatoes and flip them over to ensure they brown evenly. The potatoes are done when they are a deep golden brown and crispy. This should take about 45 minutes to 1 hour. This part can be done in advance. 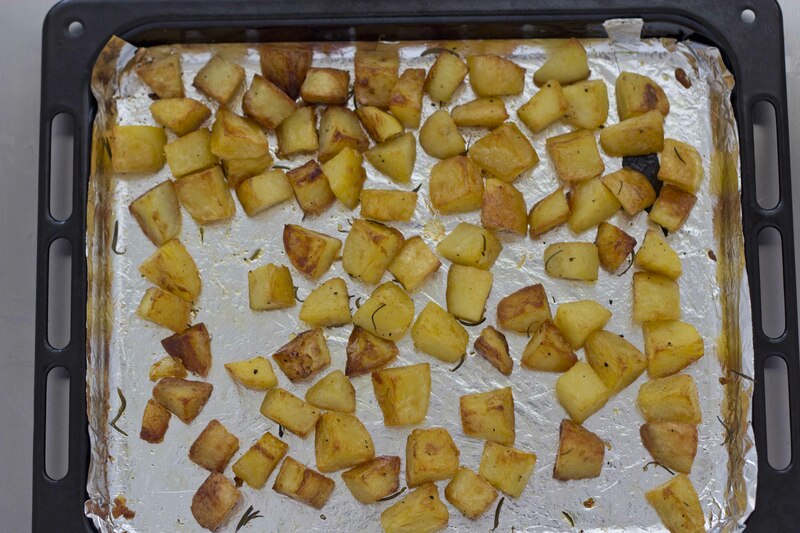 If the potatoes are allowed to cool completely and then then are roasted again just before serving, they will be even crunchier.